Traditional White Embroidered Cotton Kurtha Pajama Dress. 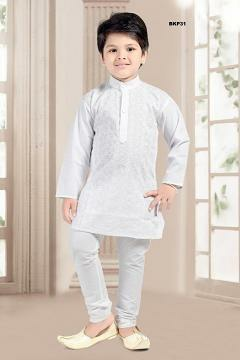 This 2 pc boys costume comes with a fancy cotton embroidered kurta and traditional style pajama. Buy Traditional White Embroidered Cotton Kurtha Pajama Dress, sold & shipped by Varshini Collections where you can shop online for Kids Ethnic Indian Wear & Ladies Kurtis.